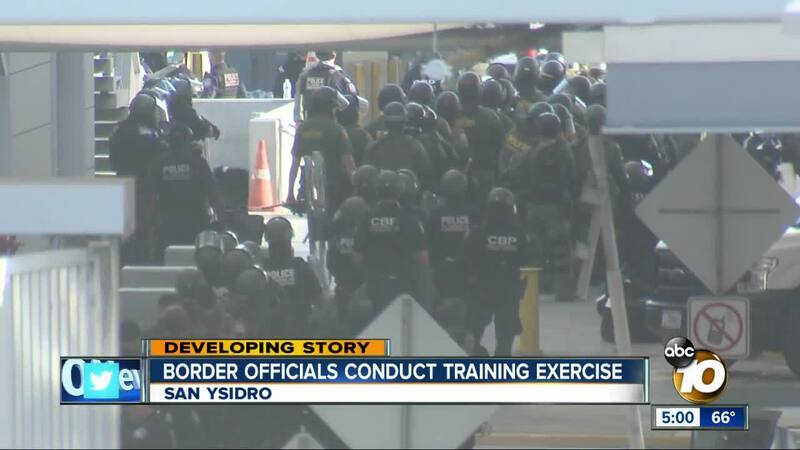 SAN YSIDRO, Calif. (KGTV) - A “large-scale” training exercise took place Thanksgiving afternoon at the San Ysidro Port of Entry, briefly delaying traffic at the U.S.-Mexico border. 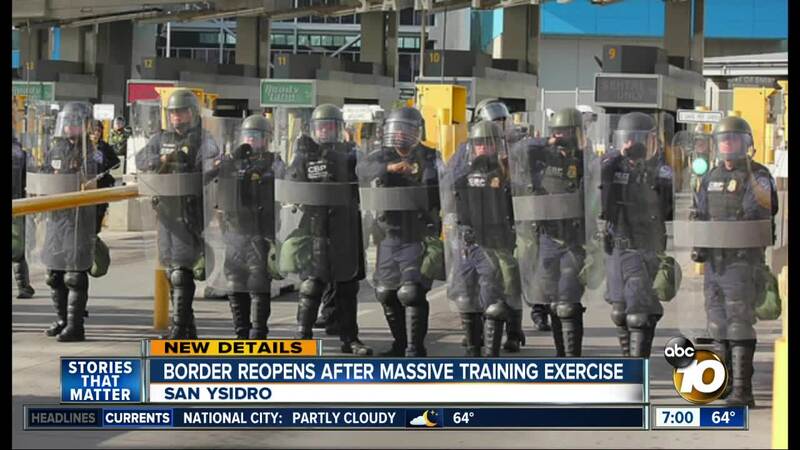 The readiness exercise, carried out by Customs and Border Protection and visible to the public, occurred at 2 p.m. and lasted about 10 minutes. Additionally, CBP officials said they were "reconfiguring" the San Ysidro Port of Entry to open extra lanes. Officials did not say if the exercise was directly related to the migrant caravan that has gathered across the border in Tijuana. During the drill, a person who crossed the border into the U.S. told 10News he saw hundreds of people he believed to be affiliated with the migrant caravan gathered at the pedestrian crossing on the Mexico side and holding a demonstration. Meanwhile, U.S. military troops stationed at various points along the southern border have permission to use lethal force against migrants, if necessary. The memo signed by President Trump states personnel may perform “military protective activities,” but only if the Secretary of Defense deems it necessary to ensure protection of federal agents. As of Thursday morning, more than 4,000 migrants from a caravan that began in Central America are in Tijuana, with more expected later in the evening or Friday. The Trump administration, according to a Washingto Post report , is planning a change in policy that would require immigrants from Central America to wait in Mexico while their claims for asylum are being processed. The Post, citing Homeland Security memos, reported asylum seekers who cannot establish a "reasonable fear" of persecution in Mexico will not be allowed into the U.S.
Current screening procedures require asylum seekers to establish a fear of returning to their home countries. The new policy, according to the Post report, could take effect as soon as Friday. A Homeland Security spokesperson said there were no immediate plans to implement new measures.